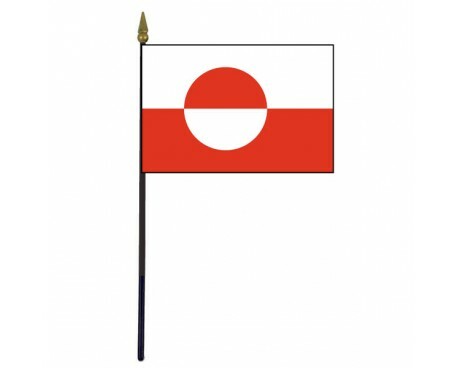 Greenland Stick Flag - 4x6"
The flag of Denmark is one of the oldest flags in Europe, and it is so old that the date when it was first used can only be estimated. 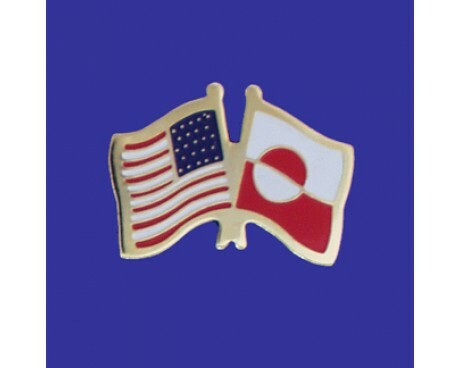 The Denmark flag has a place in the nation's mythic history, which has helped to make it one of the most enduring symbols of the nation for hundreds of years. 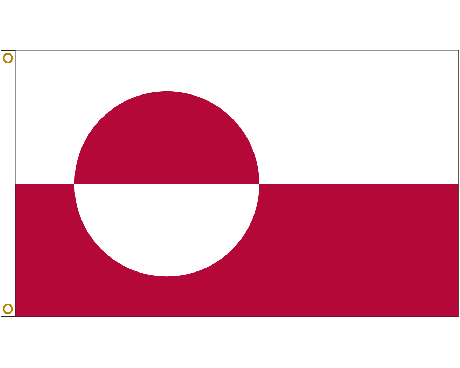 The flag of Denmark resembles that of many other nations in Scandinavia, and it most likely provided the inspiration for the flags that resemble it. It consists of a solid red field that is decorated with a white Scandinavian cross. The colors are common to many other flags of the medieval period, and the flag is so old that they are rarely given any symbolic meanings. 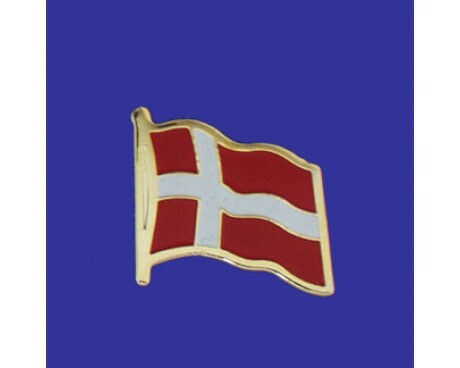 The cross design on the flag represents the Christian religion, and it is closely tied to the mythic origins of the Denmark flag. 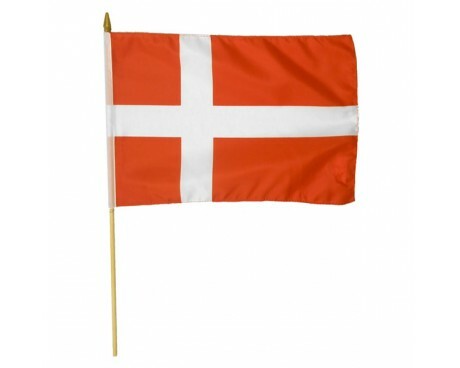 Legends say that the Danish flag was a gift for the Danes that fell from the sky during the medieval battle of Valdemar. 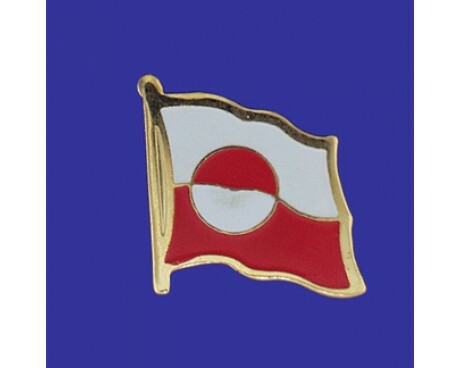 The stories say that the Danish army was nearly defeated during the battle until the Danish flag fell from the sky and inspired the soldiers of Denmark to fight fiercely and claim victory on the battlefield. The battle of Valdemar took place in 1219, but the oldest recording of the flag's story dates back to the 16th century. The earliest recordings of the legend do not agree about the details of the story, and it is very likely that the flag has a more mundane history. 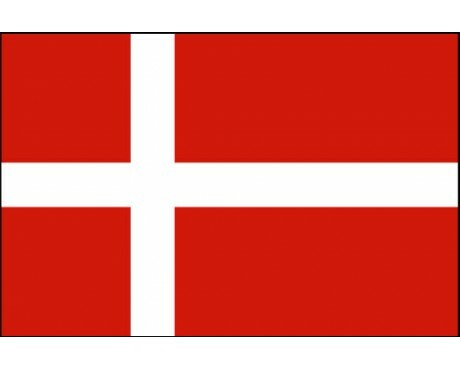 Even if the legend is incorrect, the flag of Denmark remains one of the oldest flags in Europe. 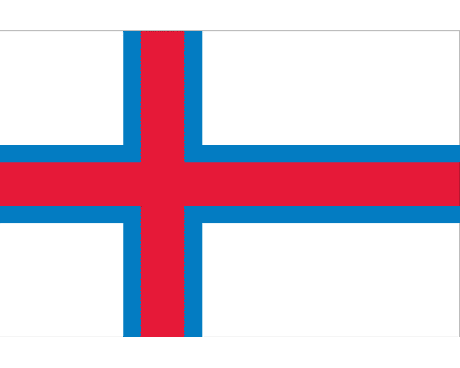 The design can be traced back at least as far as 1397, and it is likely that the flag was in relatively common use for some time before it was first recorded. A few variations on the flag have been authorized for specific uses since the design came into use during the medieval period, but the design itself has gone unchanged. 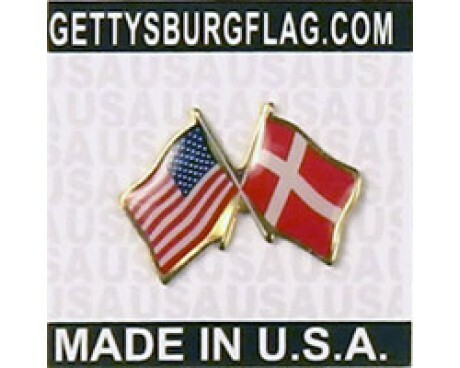 The flag has represented Denmark for hundreds of years, and it will almost certainly do so for hundreds more.